The Athena Programme’s founder and director, Sarah Carlick, has been nominated for Businesswoman of the Year in the Made in Bury Business Awards. We are celebrating 10 innovative years in business this month. 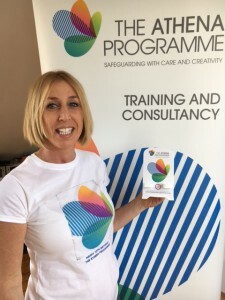 The Athena Programme is recognized throughout the UK for its bespoke approach to educating and facilitating others in the protection of children and adults at risk.